We go on talking about the means of secure file transfer between a client and a server running Windows Server 2012 R2. 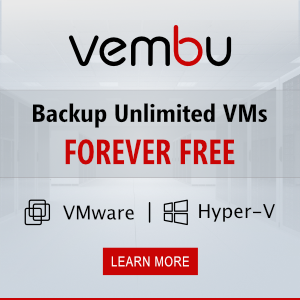 Last time we discussed using FTPS as a secure extension of FTP. 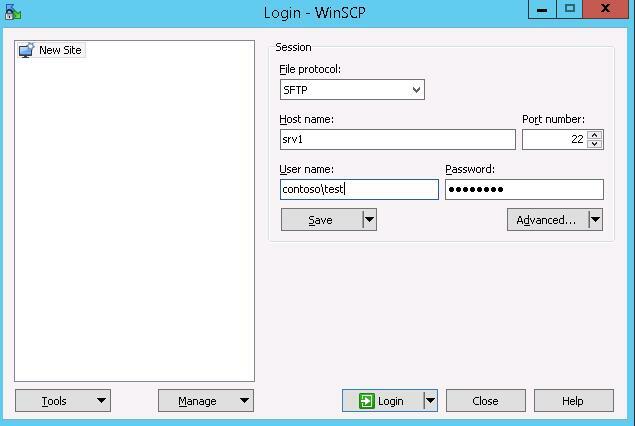 Today we’ll dwell on the peculiarities of SFTP (Secure FTP) and its use in Windows Server OSs. SFTP (Secret File Transfer Protocol , Secure FTP or SSH FTP) is the extension of SSH protocol, being a standard in the world of UNIX/Linux systems. From the user point of view, it is similar to FTP, but in fact, it is a completely different protocol, having nothing in common with FTP. Data are transferred between a client and a server through the SSH tunnel using Port 22. Microsoft operation systems do not provide any built-in means to organize a protected SFTP server. To do it, open-source or proprietary solutions, like Core FTP, FileZilla, CYGWIN, OpenSSH, FTP Shell, IPSwitch, etc., have been used. 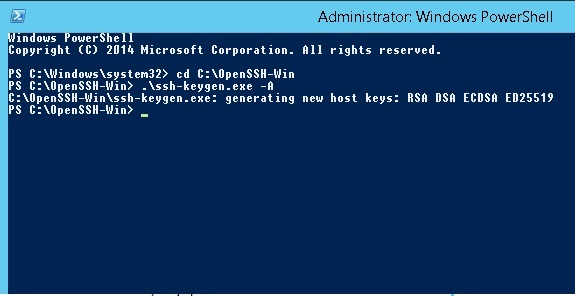 However, in October, 2015, Microsoft development PowerShell team announced the release of the OpenSSH candidate for Windows, being a port of OpenSSH for win32. Note. Now Win32-OpenSSH project has a pre-release status. According to the developers’ plans, this year the final release will be ready. 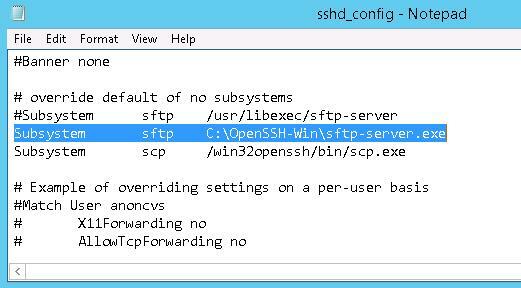 Let’s consider the configuration of the SFTP server running Windows Server 2012 R2 using Win32 OpenSSH package. The SSHD service is starting. The SSHD service could not be started. When trying to start sshd.exe with no parameters manually, the error text was more informative, but still not enough for effective troubleshooting. As it turned out, it is a well-known bug of the release as of March, 19, 2016. The developers promise to correct it in the next releases. Meanwhile, it is recommended to use OpenSSH-Win64-1.1. Let’s try to connect to the created SSH server by SFTP. To do it, use a free WinSCP client. 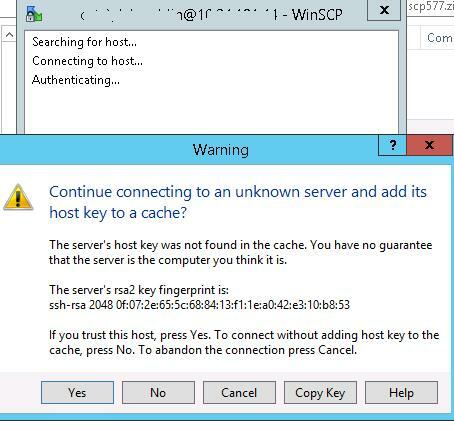 When you try to connect for the first time, the following notification of the host key not found in the local cache appears. If you configured it right, a client would connect to the SFTP server and display the list of files in the user home directory (by default, it is the directory with the user profile). 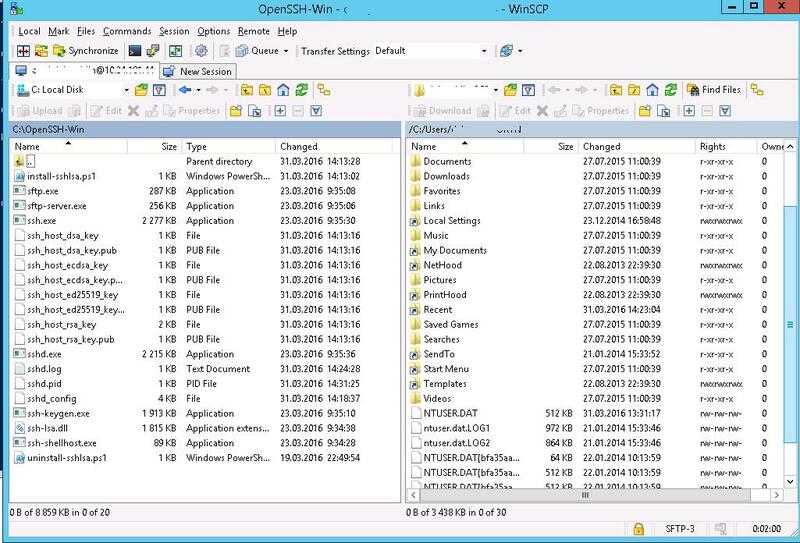 Using the familiar interface of the file manager, you can copy files between the server and the client. Files are transferred using the protected SFTP. After following your instructions above I am now testing the SSH connection via Putty from Windows 7 to Windows Server 2012 where SFTP is hosted. How do I setup a general password that is not connected to a specific user? Excellent posting. Is the bug already fixed? Using this software, if we already have something using port 22, is it possible to set up using a different port? 116 error: accept: The operation completed successfully. Is there advanced logging going on that I can turn off, as over the course of a few hours, the size of the file had grown to over 18 G.
I really like this solution but is there any way to change the user home directory. Most SFTP servers you can set a path per user and set permissions on the local share. 1) How do we use local account? 2) how do we set to a diff path than the User Profile path? 2592 02:28:09:715 Server listening on :: port 22. 2592 02:28:09:716 Server listening on 0.0.0.0 port 22. 1796 02:36:13:823 Server listening on :: port 22. 1796 02:36:13:823 Server listening on 0.0.0.0 port 22. Does anyone know how to tackle with this?? I have completed the installation process. Please guide on how to create new users. Looking at the extraction directory, I see that the mentioned ps1 file is not resident in the extracted files. I downloaded the 32 & 64 bit versions, and install-sshlsa.ps1 are not contained in either zip. I haven’t been able to locate it in any of the files from github or from openssh directly. Where can I find this file? This is quite strange. I think you downloaded the wrong file.